Could the cello be the new ukulele? I mean, with excellent new CDs by such cellist-sometimes vocalists-composers as Linnea Olsson and Zoë Keating, added to Canadian musician Kevin Fox‘s haunting “Songs for Cello & Voice,” the classical instrument may soon take its place alongside the uke among the talismans of musical hipsterdom. Of course, the fact that the aforementioned cellists play the darned thing very, very well certainly helps. Now we may add another impressive talent to this mini-movement. 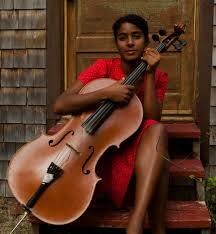 A New York City native of Haitian heritage, Leyla McCalla studied the cello for one year under the late John Sessions at Smith College before completing her education at NYU. Now based in New Orleans, Ms. McCalla is focused on her career as a solo singer-cellist-multi-instrumentalist-composer (lend me a hyphen!) after touring with the acclaimed Carolina Chocolate Drops. And wow, what a career she seems poised to enjoy! Give one listen to Leyla McCalla’s new CD, “Vari-Colored Songs — A Tribute to Langston Hughes,” and you’ll add another name to your list of unclassifiable, unforgettable musicians, of the kind to give much hope to even the most pessimistic bewailers of the current state of American musical culture. Consisting of settings of Langston Hughes’s poetry, arrangements of Haitian folk tunes and a few originals, the new CD features McCalla’s folk-jazz mezzo accompanied by her cello, banjo and guitar, abetted by such stalwarts as Rhiannon Giddens (from the Chocolate Drops) and Don Vappie. 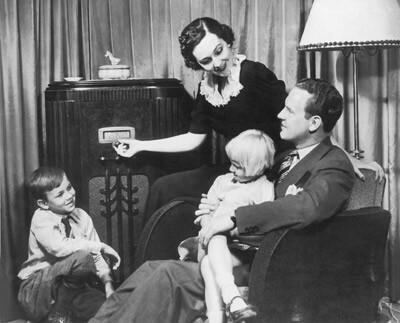 Simple, natural and direct, this is music of artistry, not artifice, of affection, not affectation. And I would challenge any classical composer to frame Hughes’s lyrics as sympathetically. 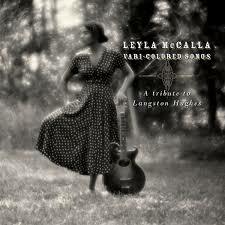 As lagniappe, Leyla McCalla is appearing Wednesday evening at the Iron Horse. See you there? ← Dead, dying or very sick?